An indispensable part of any high powered, high speed engine. The combination of high lift camshafts and these oversized valves will greatly increase the flow rate for fuel mixture to enter the combustion chamber. When upgrading the valves to cope with the new high lift camshafts it is also a requirement to upgrade the valve springs to suit the new setup. High engine speeds and the dynamic movement of the valvetrains mass can cause unwanted stress loads. This can cause abnormal movements such as a valve jump or valve bounce which can cause engine failure. The Tomei Retainers are made from titanium alloy for added weight reduction whilst maintaining the high strength properties and precision required for the nature of its use. This will help keeping the valves under control and secure the valve in place during extreme race conditions. 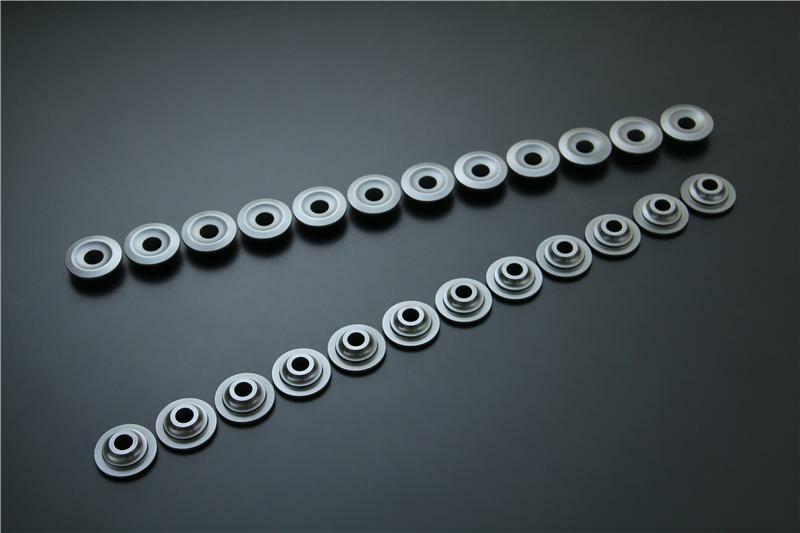 The strength and weight characteristics of titanium showed best results during test conditions of 5,000 revolutions per minute during the load conditions from the valve spring and camshaft. The light weight design aids with smoother operations and provides improved dynamic balancing to the valvetrain. 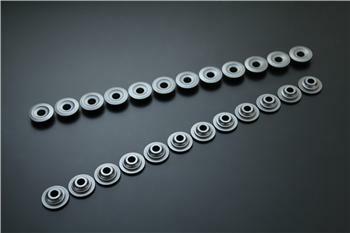 The valve retainer’s precision is an absolute must to secure the valve and valve spring in place. The Tomei precision design guarantees the optimum smooth operation process of opening and closing of the valves.